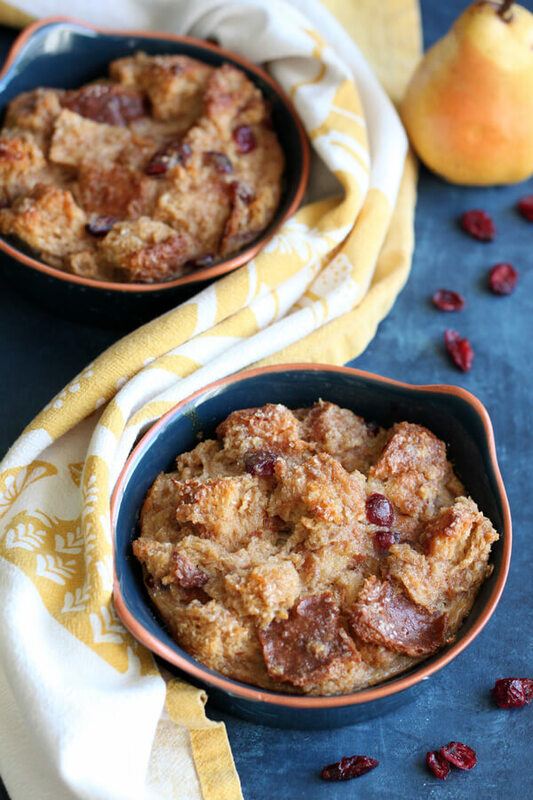 This Pear Cranberry Bread Pudding is a simple yet decadent dessert, baked up nicely in individual ramekins for easy sharing. 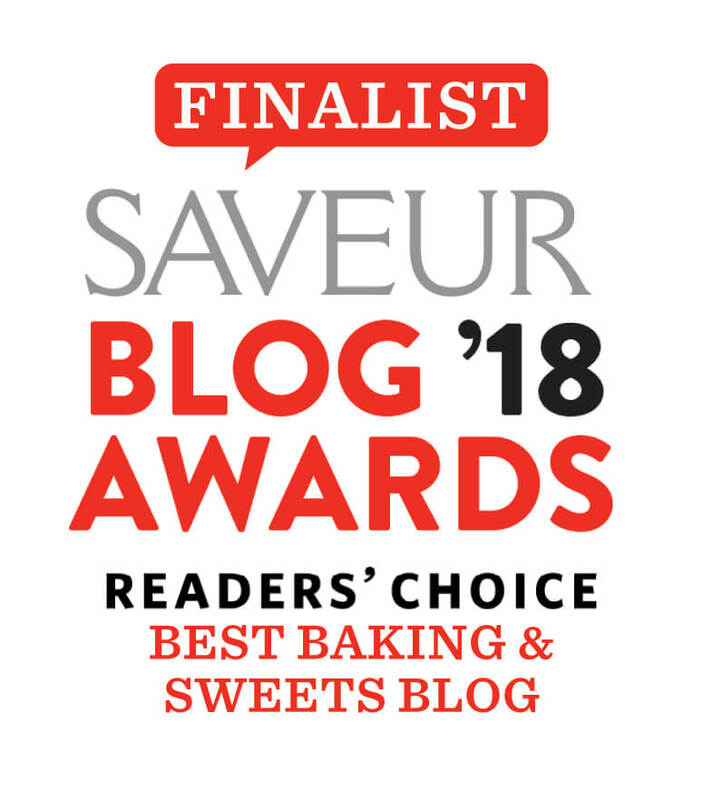 It will transform any left-over stale bread into a delicious treat! Did you make a double batch of the Brioche Loaf Bread from last week? I did warn you that if you want left over, you better make two loaves. 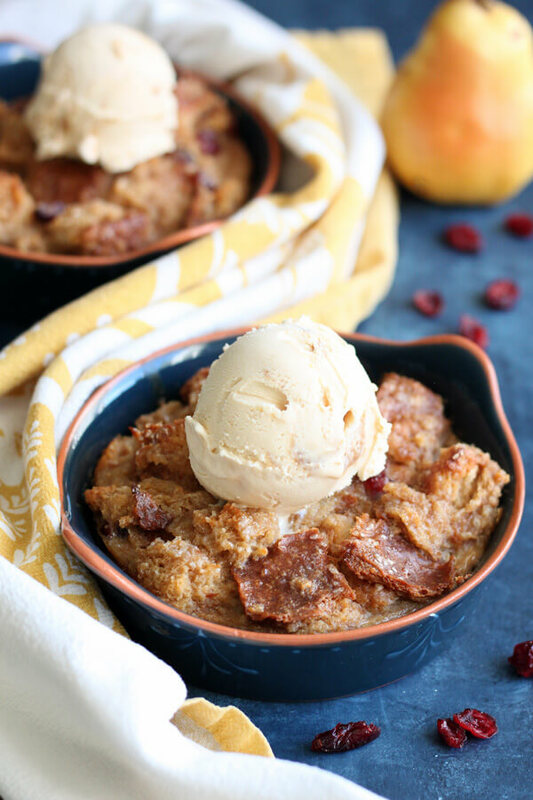 Because today, we are making this Pear Cranberry Bread Pudding with leftover Brioche! You’ll need a whole pound of Brioche for this recipe, which is almost an entire loaf. But if you don’t have homemade Brioche on hand, you could grab some at a bakery or another bread with the same texture, like soft and airy dinner rolls. A half sheet pan to spread out bread cubes in one layer to dry in the oven. At least a 5 quart mixing bowl to soak the bread cubes in the custard mixture. Food processor or a blender to puree the pears. However, if you don’t have one, you could cut the pears up in small pieces and crush them while cooking with the sugar. Very ripe Bartlett pears will disintegrate during the cooking process. A kitchen scale to weigh the bread. You will need 1 pound of bread before drying. I have successfully made this Pear Cranberry Bread Pudding with Brioche, a mixture of Brioche and this homemade Hawaiian Dinner Rolls. So if you’re in a crunch, just pick up a large bag of King’s Hawaiian dinner rolls at Costco and you’re in business. 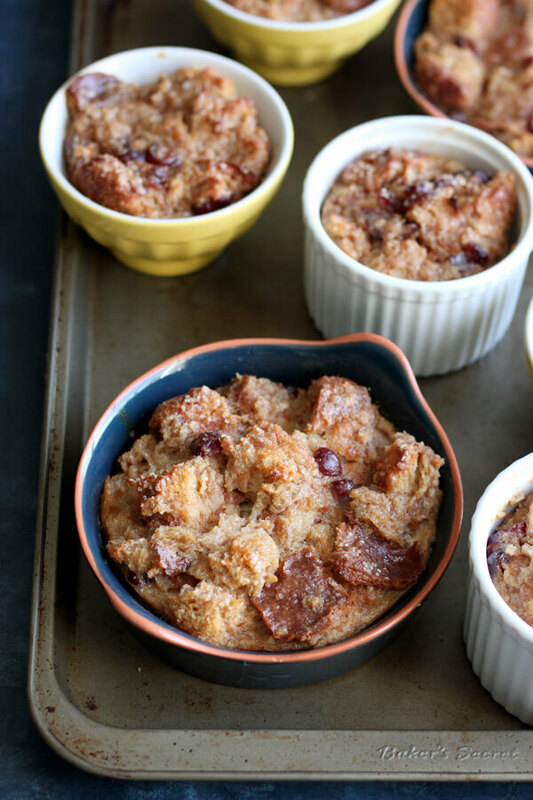 Make sure to let your bread go stale over night first, and then dry them even more in the oven before you make this bread pudding. Dry bread will soak up the custard much easier which makes for a much more delicious bread pudding. Not only is this Pear Cranberry Bread Pudding a tasty dessert, it also makes an excellent breakfast. I’ve eaten it with ice cream and with coffee. And let me tell you, both ways were equally satisfying! 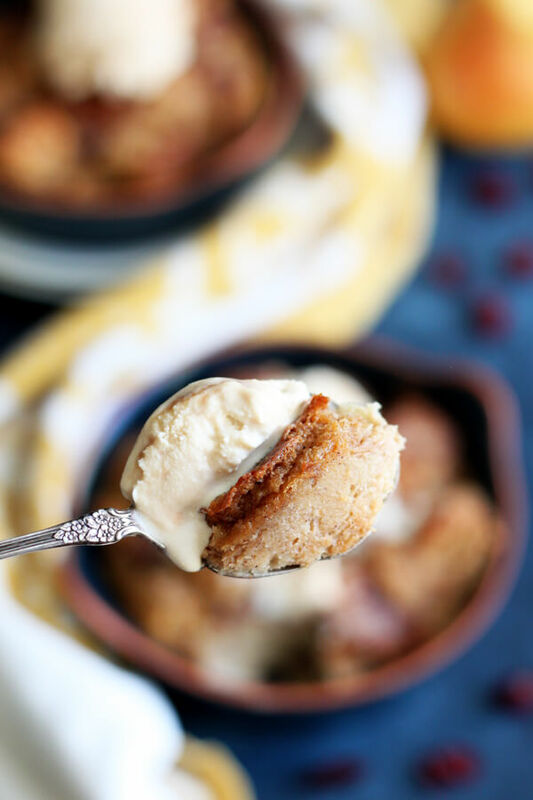 This Pear Cranberry Bread Pudding is a simple yet decadent dessert, baked up nicely in individual ramekins for easy sharing. Turn the oven on its lowest setting. Cut the bread into 1” cubes and spread on a baking sheet in one layer. Toast in the oven for 1 hour until dry. Wash and core the pears, puree in a food processor until completely liquified. This will yield approximately 1-1/2 cups. Cook pear puree with brown sugar and cinnamon in a small sauce pan over medium heat until the sugar dissolves completely. Transfer to a large mixing bowl and let cool to room temperature. Add eggs, egg yolks, vanilla, cream and milk to the large mixing bowl with the pear puree and beat until completely combined. 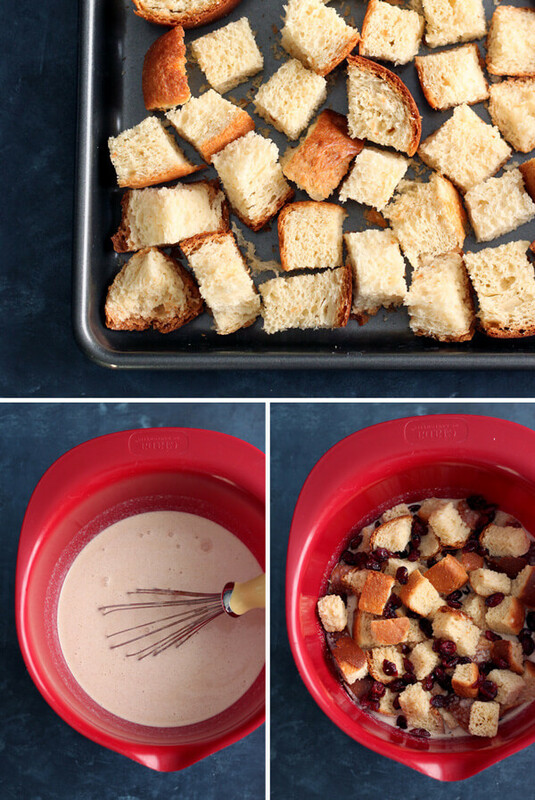 Toss the dried bread cubes along with the dried cranberries into the liquid mixture. Cover and soak for at least 2 hours at room temperature. Divide the custard soaked bread into 8 individual ramekins. Serve warm by itself or with ice cream. This. Is. Magical. 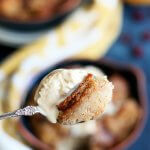 LOVE the pear and cranberry flavors together, especially in a stinking delicious bread pudding. So fun and festive! Thanks Karly, these were so good, the flavor was just perfect for this season! This looks really delicious and what a brilliant way to use up leftover bread. Thanks Scott, they were indeed delicious! This creamy dessert is calling out to me. I can’t wait to give it a try. This looks like a great treat. Bread putting is one that I have not made before, but I know my wife loves. I might have to change that. That looks tasty!Now I know what to do with my extra bread.